Bitter Gourd which is also known as bitter melon or bitter squash in English are dark or light green in color depending on the region where they are grown. Let’s see some of the amazing health benefits of bitter gourd here on this page. The first thing that comes to my mind as the name says, it is very bitter. Though they taste very bitter, they are filled with many beneficial antioxidants and essential vitamins. “Bitter melon” is the name for the plant in Australia. Is bitter gourd juice good for diabetes? The answer is yes. It is an amazing blood purifier as it has hypoglycemic substance, it helps in bring down the blood sugar and urine sugar levels. Most of us like dislike to eat bitter gourd due to its bitter taste but if so then we are skipping out a packed of anti-oxidants that helps the body fight off the associated complications seen in diabetics by scavenging free radicals. The bitter melon contains at least three active substances with anti-diabetic properties, including charantin, which has been confirmed to have a blood glucose-lowering effect, vicine and an insulin-like compound known as polypeptide-p. 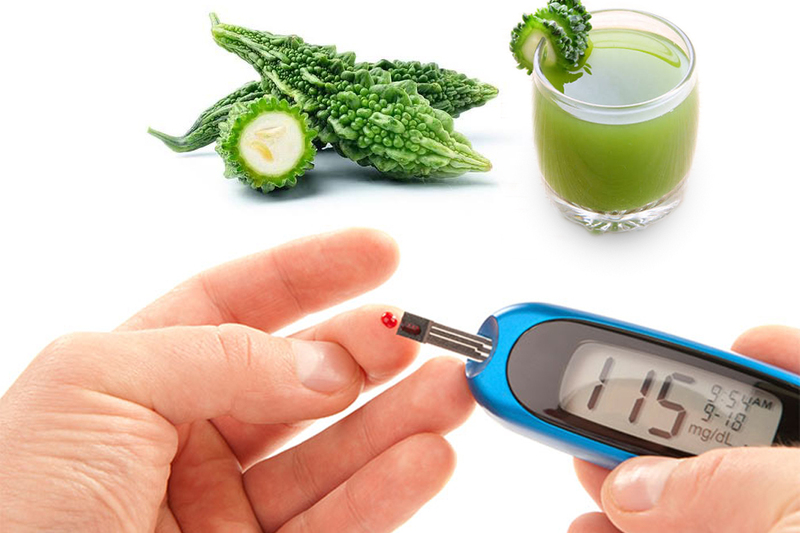 These substances either work individually or together to help reduce blood sugar levels. The best way to get all the possible nutrition from a vegetable is to eat it raw. You can also get the maximum nutrition if you take the juice of it. But ensure that our body assimilates it in a much more effective manner. If you like to drink bitter gourd juice, then to reduce the sugar level in blood, 20-25 ml juice of bitter melon is beneficial per day. Bitter Gourd juice should be drink every morning on an empty stomach to lower down the blood sugar. Health Benefits of Bitter Gourd: A rich in various vitamins, minerals, and dietary fiber. It has double the level of all these essential nutrients than those that are present in some other fruits and vegetables. The raw green form of the vegetable is more commonly used in consumption than the ripe yellow form. Bitter melon is a plant. The fruit and seeds are used to make medicine. It contains a chemical that acts like insulin to help reduce blood sugar levels. It is used for various stomach and intestinal disorders including gastrointestinal (GI) upset, ulcers, colitis, constipation and intestinal worms. It is also used for diabetes, kidney stones, fever, a skin condition called psoriasis, and liver disease; to start menstruation; and as a supportive treatment for people with HIV/AIDS. Topically, bitter melon is used for deep skin infections (abscesses) and wounds. It comes in a variety of shapes and sizes. Bitter melon is generally consumed cooked in the green or early yellowing stage. The young shoots and leaves of the bitter melon may also be eaten as greens. It is very popular throughout India. Bitter melon is often used in Chinese cooking for its bitter flavor. Fresh pods are an excellent remedy for curing respiratory problems like asthma, cold, cough, etc. Bitter gourd also has beauty effects where it helps to clean the blood from within, purifies the blood system and gives natural glowing skin free of acne and other skin disorders. 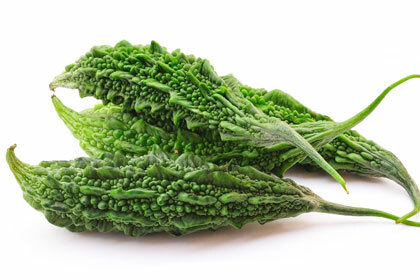 The reason behind this is the presence of antioxidants in large quantity in this vegetable. If children are introduced to the taste of bitter gourd from a young age, they get used to the taste gradually and get accustomed to food preparations using bitter gourd. The vegetable helps strengthen the immune system in children, rendering them less vulnerable to diseases. Health Benefits of Bitter Gourd: Used to treat various diseases including cholera, diabetes, eye disorders, sleep disorders, blood disorders, piles, constipation, indigestion, respiratory problems etc. Apart from treatment option, it is also an energy and immune boosting food that when consumed on a regular basis (say three to four times a week) gives enormous positive results for the human body. Health benefits of bitter gourd includes it helps to remove the toxins from the liver. Bittergourd can be boiled, fried or eaten as a curry dish. Traditional medicine recommends drinking bitter gourd juice on an empty stomach in the morning to lower the blood sugar level and keep diabetes in check. This juice extracted by grinding bitter gourd is also known to clean the gut of worms and harmful germs.